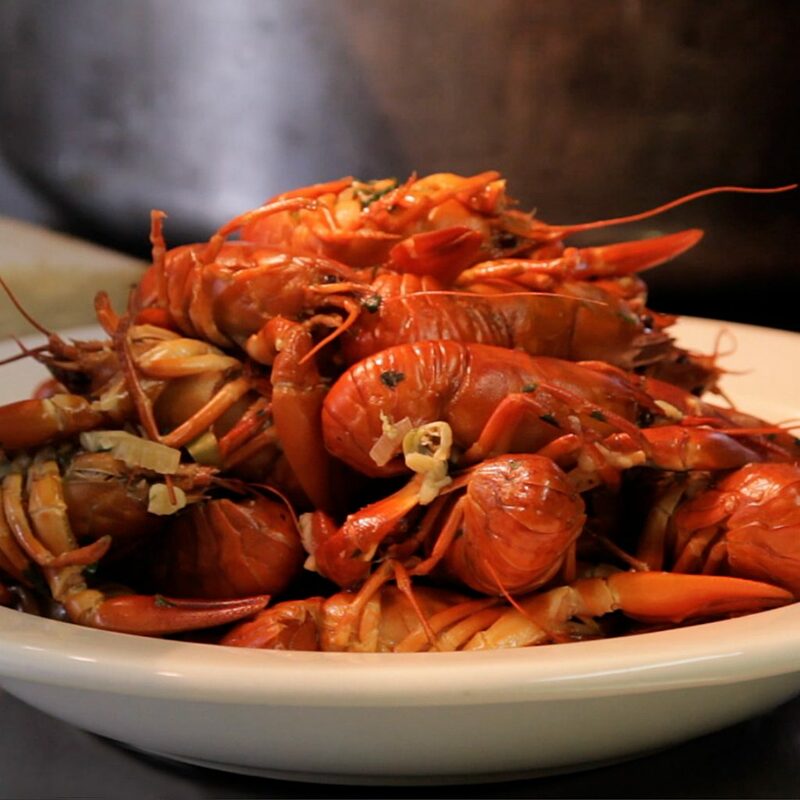 This fresh crayfish recipe is just terrific…and if you follow the instructions…not difficult to prepare for any dinner party. The video was recorded ‘on site’ at The Swan Inn. You’ll find the video below plus the written recipe. Enjoy! 1. Bring the pan up to an intense heat, (need to be quick in the next step). 2. Add your shallots and sliced garlic, sweat off for 1 minute. 3. Add the crayfish and sauté off, keep stirring for 4 minutes, add the wine and put on the lid. 4. Keep checking and stirring till all the crayfish are cooked through, add more wine or water to keep the steam. 5. Remove from the heat, squeeze in juice from half a lemon and return the lid. 6. Leave to stand for 5 minutes. 7. Mix in the chopped herbs and check seasoning. 8. Spoon into serving bowls, rip some fresh bread and serve the saffron butter on the side. 1. Put the chopped shallots, garlic, saffron and white wine into a pan and let it reduce down slowly, till you reach 2 tblsp, let chill. 2. Add the saffron to the butter and mix well, check seasoning, leave to set in a butter dish.